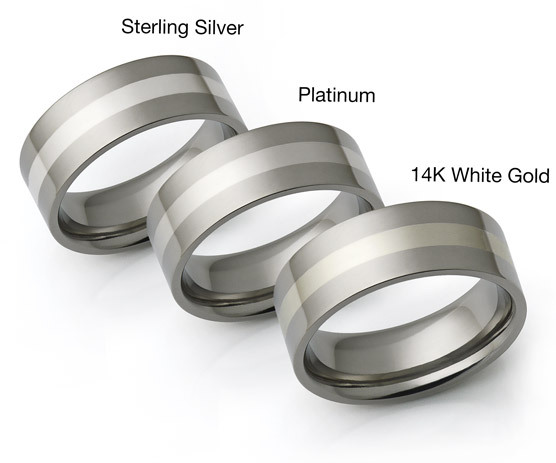 Domed Titanium Ring with double Inlays: This ring is divided into 3 parts, the middle part is approximately double the width of the sides. This ring has two inlays, one on each side. The inlays are positioned all the way to the edge creating an appearance of gold ring with titanium center. 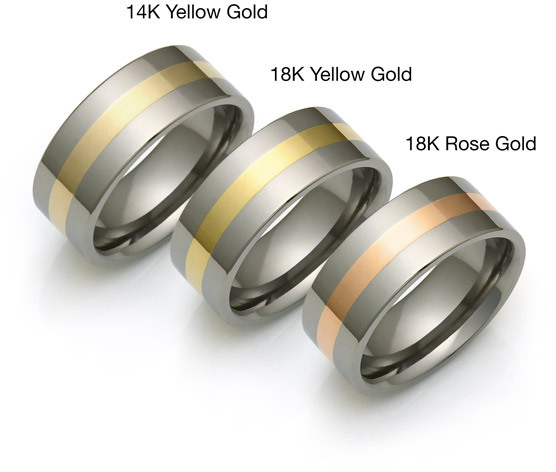 Available w/ either 18K or 22K yellow or 18K rose gold inlays. 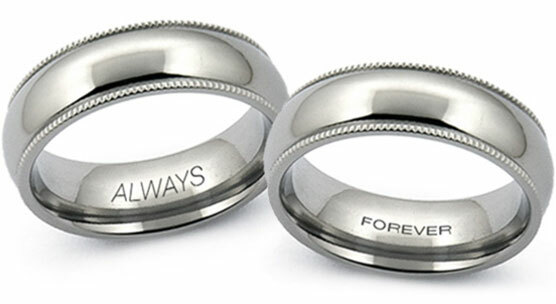 I ordered one of these for my wedding ring. 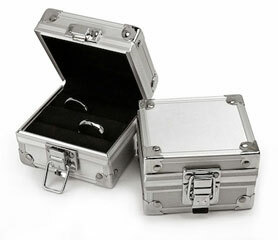 It's a fantastic ring, it's reasonably priced and it looks great. 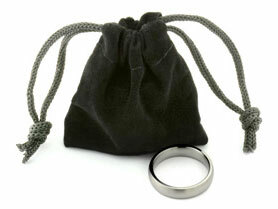 The brushed titanium still marks fairly easily on stones etc, but I wear it all day every day. 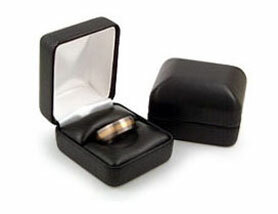 The ring is also fairly thick (difference between internal diameter and external diameter is more than some rings. This may be a plus if you need to have it honed out for resizing later. My only problem with it was my own fault, I bought it during summer and it was about the right size (not too hard to get on and off), but now that it's winter I'm finding it a bit too loose. For the price, maybe I'll buy one a size smaller for winter and wear each half the year. Because it has plenty of thickness, if you are unsure of sizes, you could be safe in buying the smaller and having it honed out larger.